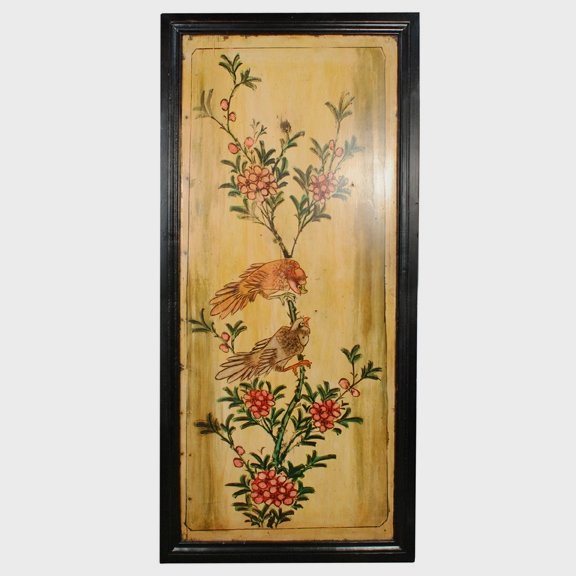 W: 22.5" D: 1.5" H: 15.0"
This hand-painted panel, laden with meaning, was once an interior panel of a large cabinet. 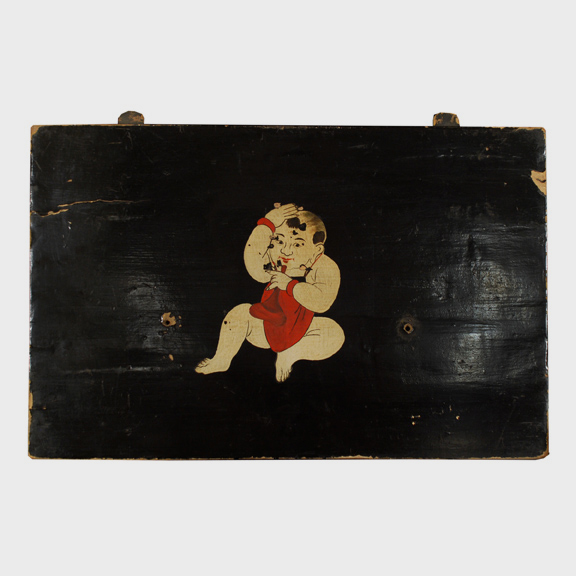 The young boy is dressed in a traditional red apron. 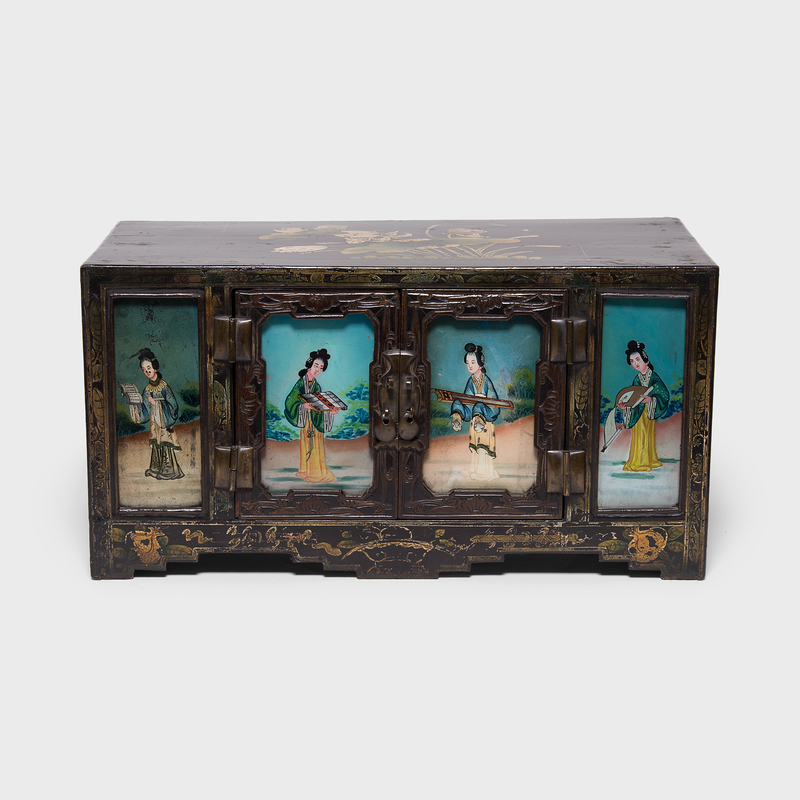 Children were a popular motif in Chinese artwork. 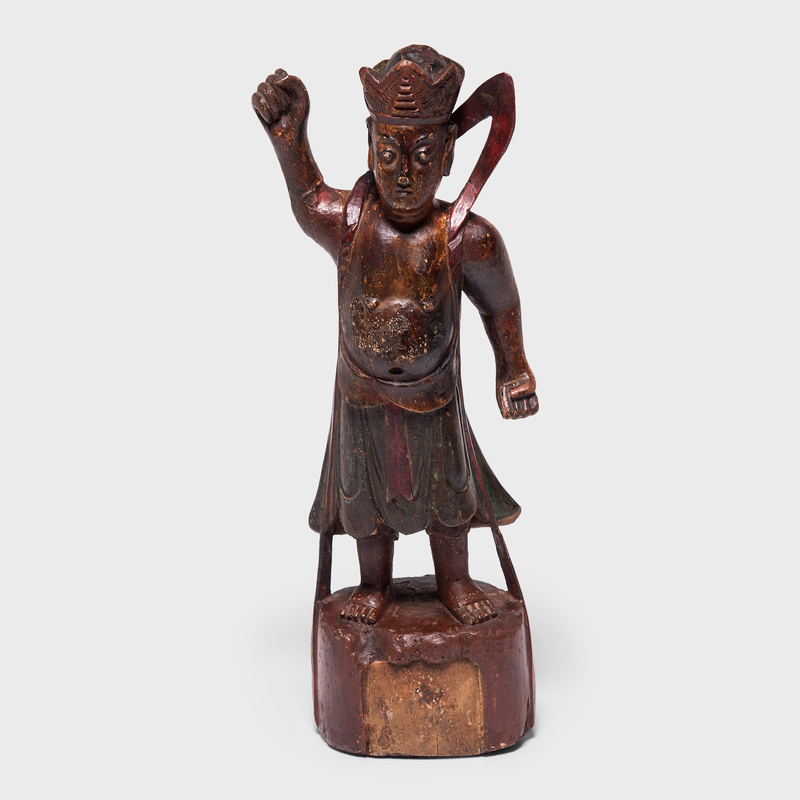 Prospective parents looked to them as symbols of good luck to encourage healthy pregnancies. 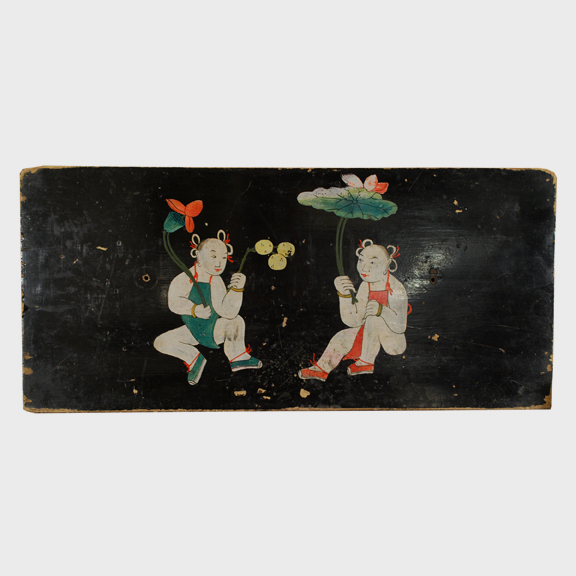 We acquired this panel from a large collection of painted panels found outside of Beijing.